Russia's hybrid military forces attacked Ukrainian army positions in Donbas 48 times in the past 24 hours with seven Ukrainian soldiers reported as wounded in action (WIA), according to the press service of the Anti-Terrorist Operation (ATO) Headquarters. Read alsoJCCC: Number of injured in Krasnohorivka attack grows to eight civilians (Photos, video)The Donetsk sector: until midnight, the Russian occupation forces most often fired at the Ukrainian fortified positions in the vicinity of the town of Avdiyivka, using grenade launchers and small arms, as well as occasionally 82mm mortars. The Russian proxies in areas close to the temporarily occupied city of Donetsk also fired grenade launchers on the Ukrainian positions stationed near the village of Pisky. 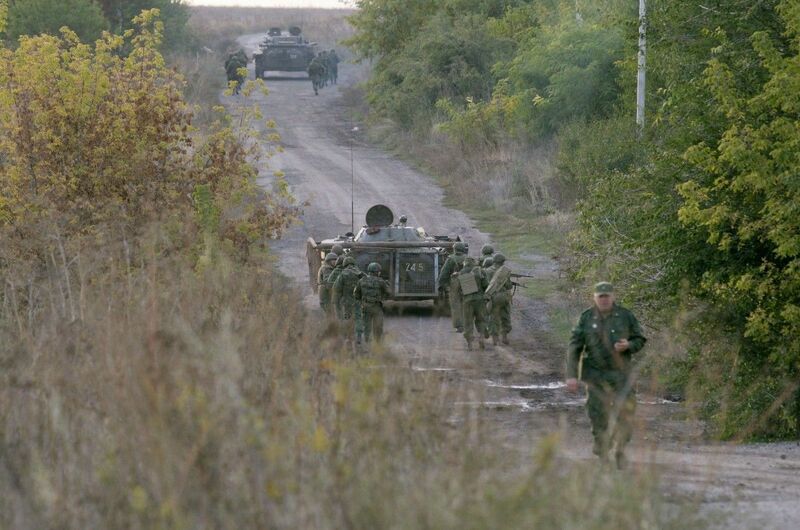 The invaders located on the outskirts of the temporarily occupied town of Horlivka once again opened fire from infantry fighting vehicles and light infantry weapons on the Ukrainian fortified positions near the village of Zaitseve. In total, 18 enemy attacks were recorded in this sector.